Environmentalists are eyeing the courtroom after the Trump administration this week unveiled new policies for oil and gas leasing on public lands. The Interior Department's updated Bureau of Land Management leasing procedures usher in a wave of changes celebrated by the oil and gas industry and panned by environmentalists as an affront to public lands laws. "This step is likely to backfire on the Trump administration," Earthjustice attorney Mike Freeman said. "It almost ensures that BLM lease sales are going to get struck down for failure to comply with the law. "BLM is inviting lawsuits by taking this step," he added. The agency's new instruction memorandum reverses several reforms instituted by the Obama administration in 2010 (E&E News PM, Feb. 1). It nixes the use of master leasing plans, championed by the Obama administration to increase input for leasing in sensitive areas; slashes the period of time opponents can raise objections to proposals; and scraps a rotating auction schedule designed to give BLM offices more time for review. Industry had long complained that those Obama-era measures created duplicative layers of environmental review to slow down development. The memo also supports the use of "determinations of NEPA adequacy" (DNAs) to comply with the National Environmental Policy Act when BLM officers think existing documents include sufficient analysis for new leasing proposals. The Obama administration occasionally used DNAs but favored environmental assessments for most leasing proposals. Critics of the new policies say the changes leave Interior legally vulnerable. "The new IM sharply constrains public involvement, hamstrings field offices from providing thorough reviews and greenlights leasing whether or not it has been properly analyzed," Western Environmental Law Center attorney Laura King said. "In short, the IM makes a farce of BLM's mandate to consider multiple uses beyond extraction. When BLM implements the new IM, it will be legally vulnerable." Interior's policy clarifies that BLM offices do not have to resolve lease protests before conducting sales and specifies that the agency does not need to halt leasing when it decides to update planning documents for an area. King pointed to the latter provision as a particularly problematic feature of the agency's new approach, arguing that "stale" planning documents are not adequate legal support for new leasing. The agency has faced dozens of lawsuits over the years challenging the adequacy of environmental reviews for leasing. The Obama administration issued its now-defunct leasing reforms partially in response to a controversy over George W. Bush-era leases in Utah. Environmental groups said the 77 leases hadn't been adequately analyzed, and a federal court in 2009 blocked the planned sale. Ken Salazar, Obama's first Interior secretary, canceled the leases a month later. Former Interior official David Hayes, who helped craft the Obama-era leasing reforms, said the Trump administration's new approach will land the department back in court. He noted various "red flags" from the policies, including limitations on public input and the ability for BLM officials to skip site visits and issue DNAs. "Legal vulnerabilities, all," he said in an email. "Likely to lead to the type of results-oriented decision-making that led to the many poor oil and gas siting decisions made in the Bush administration ... and the litigation around those decisions." Critics raised similar concerns last year when Interior streamlined NEPA reviews for infrastructure projects (Energywire, Sept. 8, 2017). Already, the wheels are turning in the minds of environmental lawyers opposed to the reforms. Legal pushback will mostly be piecemeal: As the agency implements the memo, environmental lawyers will challenge individual actions they see as violations of NEPA or various land management laws. That's no surprise to Kathleen Sgamma, head of the industry group Western Energy Alliance. "The only legal vulnerability is that environmental groups are suing anything that allows responsible oil and natural gas leasing and development to move forward, but that's regardless of this policy change," she said. Industry lawyers say Interior's recent reforms actually bring the agency into compliance with federal laws. "We interpret the instruction memorandum as a recognition that certain aspects of the existing leasing policy did violate the Mineral Leasing Act, and we appreciate the modification BLM has made to bring their leasing program into compliance with the law," said BakerHostetler attorney Mark Barron. Barron represented the Western Energy Alliance in a legal issue directly addressed by the new leasing policies. The group argued in a 2016 lawsuit that BLM routinely violated the Mineral Leasing Act by failing to have lease sales every quarter in states with lands available for leasing. Yesterday, it moved to voluntarily dismiss its main claims in light of the new instruction memorandum. While the most conventional legal challenges to the Trump administration's policies will focus on actual implementation efforts, groups could craft a more creative challenge to the memo itself. For now, they're just thinking about it. "We're reviewing it carefully and considering all our options at this point," Freeman said. Direct challenges to agency procedures are tricky because IMs are generally considered nonbinding internal policies. The memo includes a standard disclaimer that leasing carried out under the policies must comply with all relevant laws, including NEPA. 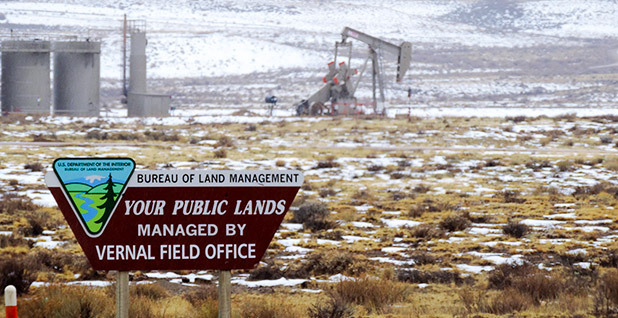 "It's hard to challenge an IM as it's guidance that BLM is issuing to its staff," Sgamma said. "They would have to show that BLM is not interpreting the Mineral Leasing Act or another law correctly with this guidance." Environmental lawyers are aware of those potential barriers to a direct challenge of Interior's new approach. "Speaking generally, there are some things that in terms of internal management of their procedures that an agency can do by these sorts of informal memoranda and guidance documents," Center for Biological Diversity senior attorney Michael Saul said. "There are other actions which rise to the level of constituting a rule under the Administrative Procedure Act." Saul couldn't say whether CBD would end up challenging the memo directly but noted that the group has major concerns about it. "This seems to be a memorandum that has some pretty far-reaching effects," he said. "It goes beyond simply eliminating the 2010 reforms but really creates a new regime that purports to prioritize oil and gas leasing over everything else." "I think there's substantial questions about the memo itself," he added, "but at this point, we're just taking a close look at that."